Two or more churches working together on your Inasmuch event? 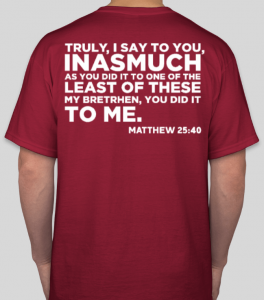 Let us make you a custom Inasmuch United Logo using the name of your city, county, or group (i.e. 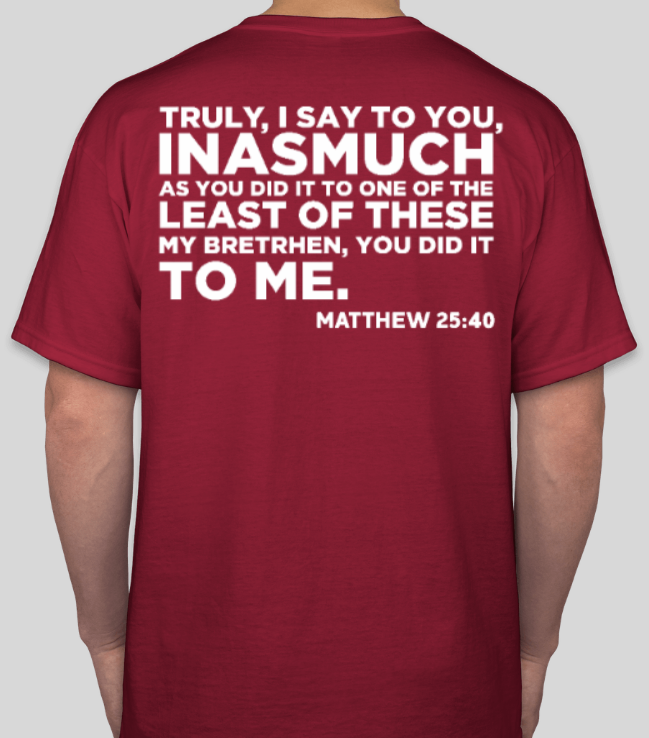 Inasmuch United Knoxville)! Please note that when ordering 12 or more shirts you will receive significant discounts. Adult and youth shirts are just $8 and 2XL or 3XL are only $10. Use the bulk order form below. Orders should be submitted by three (3) Monday’s prior to your event. If orders are received any later, then you may not receive your order until the day before your event. View additional photos for more logo options. 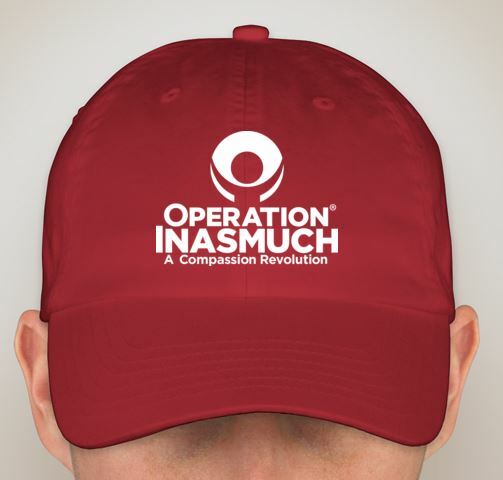 Email office@operationinasmuch.org with any questions. Click here to order with the bulk order form and receive the discounted prices. 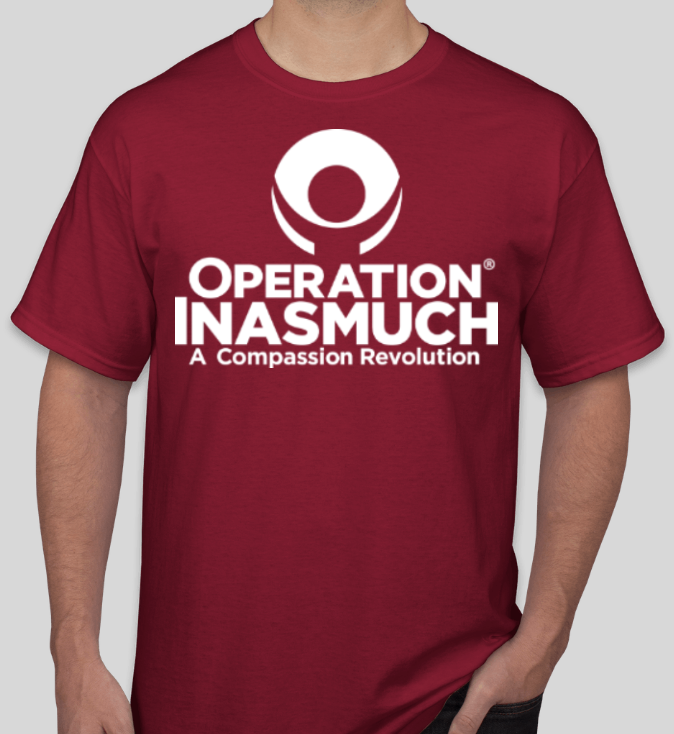 Purchase the Official Operation Inasmuch T-Shirt to show your support for the Compassion Revolution! The bright shirt will attract attention and offer a unified presence among your volunteers. They are made of 100% pre-shrunk cotton. *** You can create unity among volunteers on the day of service by ordering shirts for all the participants and you will receive huge discounts. Bulk orders (12 minimum) are sold at discounted prices. Click here to order in bulk.